QUEEN’S ROAD: After Yash-starrer Mr and Mrs Ramachari did well overseas earlier this year, two more Kannada films, Rangitaranga and Uppi 2, have found favour in the US market. 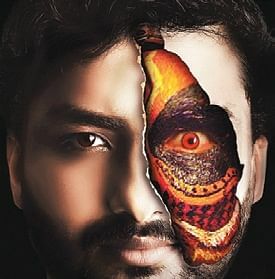 This week, Rangitaranga completes a successful 50-day run, in Karnataka, after making an approximate business of around Rs 20 crore. And going by the overseas market buzz, the film, which was released across 36 screens in the US last Thursday, is expected to touch $150,000 (nearly Rs 1 crore) within the first week. As for Uppi 2, its combined collection in Karnataka and Andhra Pradesh came close to Rs 40 crore over the first weekend. Moreover, the film saw a simultaneous release in San Fransico and Los Angeles. All the seven shows — three in SFO and four in LA — are supposed to have been shown to a full house. And it’s set to hit more screens. “Since we are focusing on Karnataka, Andhra Pradesh, Telangana, Mumbai and Pune right now, it will take us till the next weekend to reach cities in Australia, Europe, Singapore, Dubai and some more in America,” a source from the production house told City Express. According to producer Priyanka Upendra, its owing to social media that word of a good film spreads rapidly and creates an audience who want to watch the film wherever they are, as soon as it releases here. “I have got many enquiries from people in Scotland, Australia, Kuwait, Germany and other parts of the globe with a huge Kannada audience,” she says. Kasturi Media, which released Uppi 2 abroad, has invited Upendra and team to fly across and promote the film. “He will leave in about two weeks,” said Priyanka. Ajay Reddy, distributor of Rangitaranga, has also invited director Anup Bhandari and actor Nirup Bhandari over to the USA for a promotional tour and wants them to cover Europe too. “For the first time, a Kannada film has got such a huge release and will be running in theatres for one to three weeks,” says the director. “The theatres in the US gave us more screens than the multiplexes in Bengaluru did,” he added. Theatres there increased the number screens to meet the demand after one houseful show followed another. Anup hopes to promote his film among the non-Kannada-speaking people too. “I request every Kannadiga to take along a non-Kannadiga and at least one American to the movie. I am happy the Western audiences are watching Rangitaranga. Lance Kaplan, our cinematographer, now in the US, had to buy a ticket in advance, which he was happy to do,” he added.